Generally, St. Michael will have Masses at 9:30am and 7:00pm on these dates. 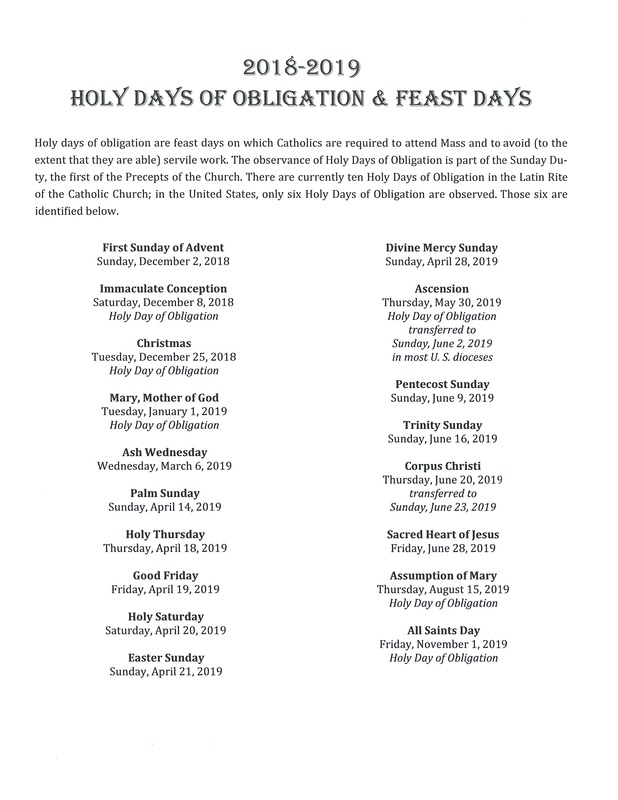 Some Holy Days of Obligation are abrogated, or suspended, when they fall on a Saturday or Monday. Please consult the Messenger for specific information.